Most people will put down a good crime novel for this: Competency. Research. Practical experience. Background. How can visualization be applied to connect simple to complex content? Which methods can it work hand in hand with? What should clients, executives, and facilitators know about each other in order to successfully master projects and events? What makes a team of visualizers, facilitators, trainers, moderators and change consultants into a team of co-creation? Read more in this leading specialist book on visualization! This publication is in German language. This book is in German language (but bought a lot by non-natives due to the heavy visual, hand-drawn nature of the book). This is an illustrated book which presents the diversity and high quality of selected Graphic Recording visualizations. Though it is not possible for this book to make you a visualizer yourself just by reading it, it is still able to show you the breadth of styles, approaches, and stories of origin of visual live documentations like no other. 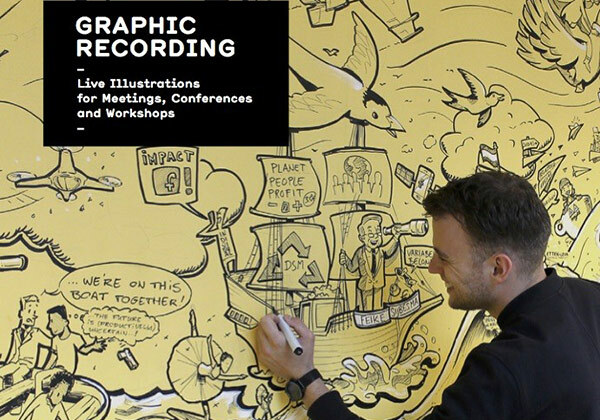 Countless Graphic Recorders (including contributions from our Graphic Recording Team) give a glimpse into their tool kits and ways of working, alongside of co-editor and expert Anna Lena Schiller, who gives a short introduction into the topic of visualization. Wonderful! 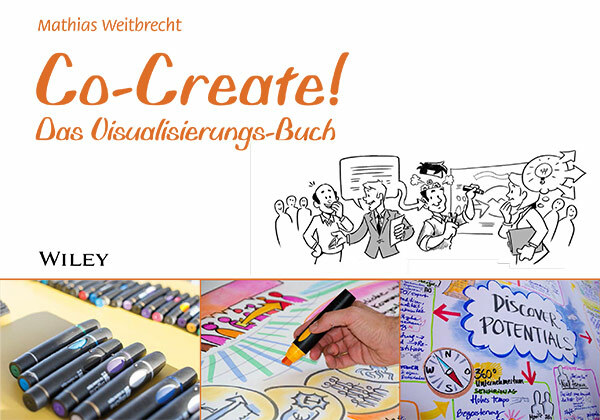 German article with video report about our Graphic Recording services on Spiegel Online. 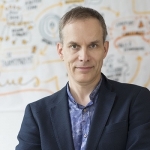 German Interview about Graphic Recording with Mathias Weitbrecht and Malte von Tiesenhausen by Euroforum Handelsblatt Media.